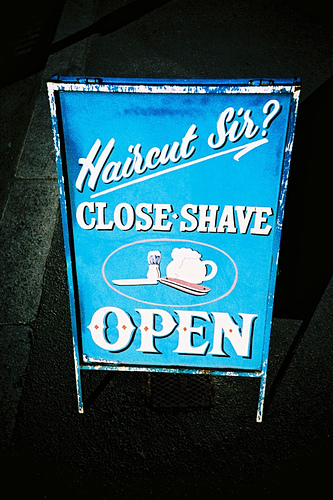 I glanced in the window of an old-fashioned barber’s on Chatsworth Road, London, the other week and this poem came to me instantly. so I became a barber. I cut with a kind of artistry. as a Moore square jaw. My scissors are my chisel. Read more poems about sculpture here. You might notice that I’ve stolen a line from an old poem for the one above. Rather than laziness, I’ll call that a motif.